In the first of a series of posts exploring ways you can update your existing shoe collection, I’ve a funny little discovery for you. Shoe clips – adornments that you attach to the front of your shoes – are a cute way of pimping your pumps. 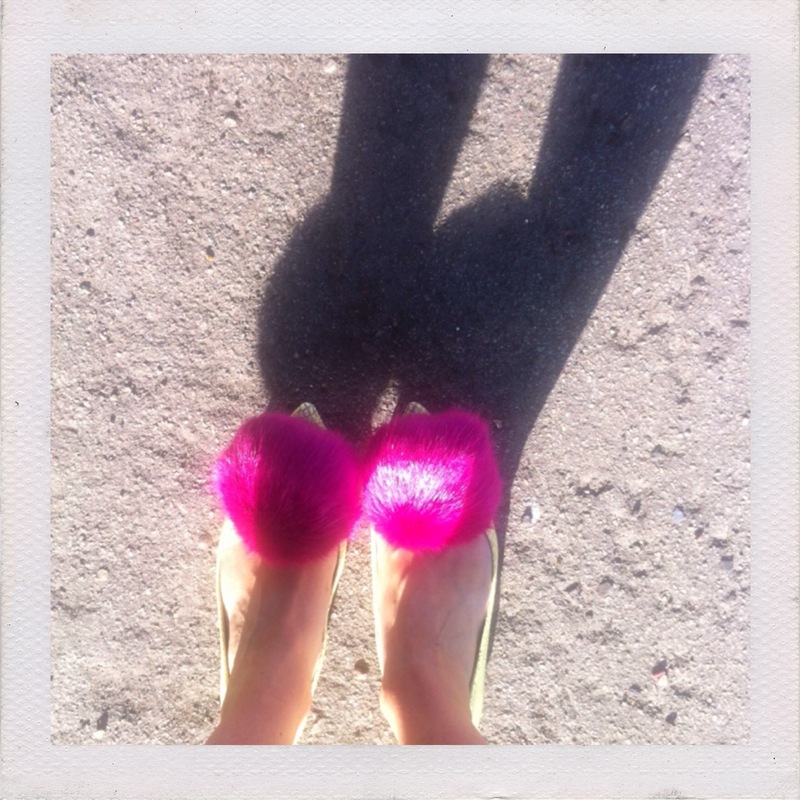 They work best on ballet and pointy styles, and my favourites are these pompoms by Cleo B.
OK, so they’re a little bit out there, but it’s really fun idea borrowed from high end brands (I spied some very expensive pompom shoes at Milan fashion week). 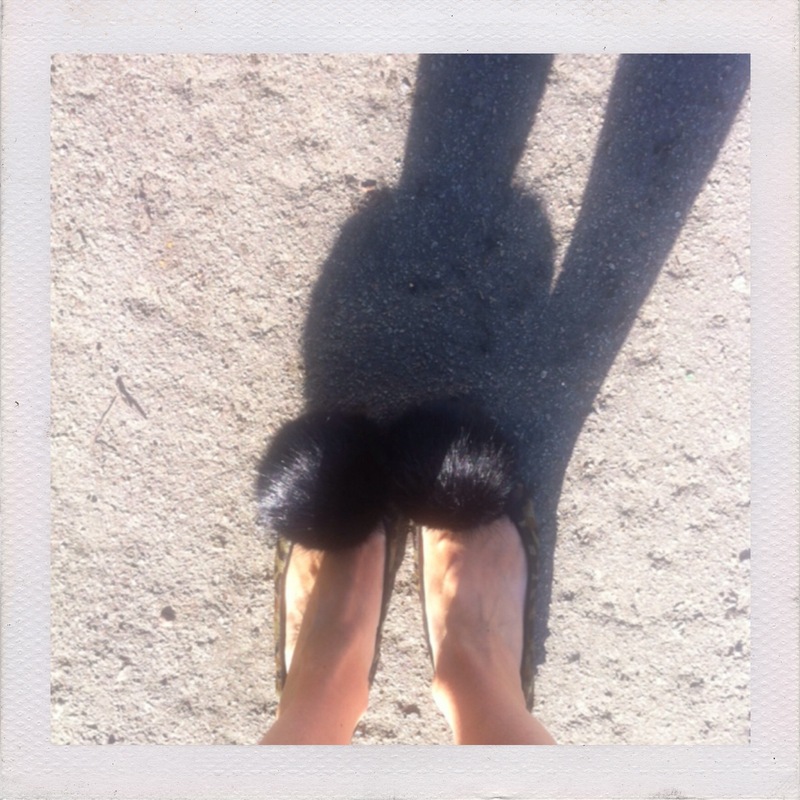 At just £35, you can effectively get countless new pairs of shoes with these fluffy numbers. Incidentally, these are FAUX fur, though they are so realistic I had to double check! The black versions are a little easier to wear; I love how they transform these camouflage print pumps into the ultimate party shoe. And of course black is likely to work on more than one pair of the shoes in your wardrobe. I’ve just made a REALLY exciting purchase that’s being shipped over from the States, so as soon as that arrives I will bring you part 2 in the series!